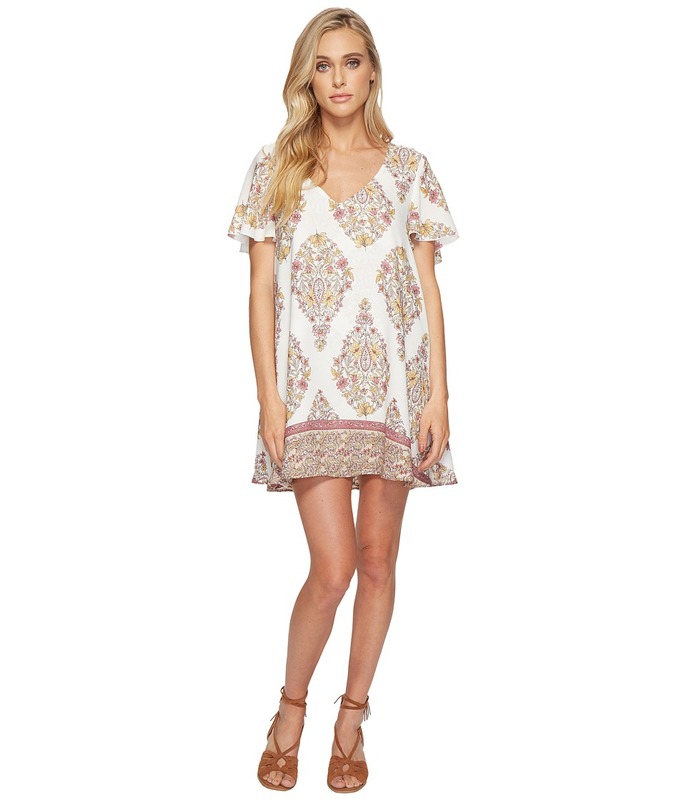 This Circus Mini Dress is perfect for a quick weekend getaway. Shift silhouette. Flirty print throughout. Sleeveless design. Adjustable shoulder straps. Pull-on construction. Straight hemline falls at a flirty length. 100 percent polyester. Hand wash cold, hang dry. Made in the U.S.A. and Imported. Measurements: Length: 32 in Product measurements were taken using size SM. Please note that measurements may vary by size. Enjoy Sunday Brunch with the girls in these Carlos Swing Shorts. A-lined silhouette. Lightweight polyester shorts flaunts a gorgeous floral print allover. Banded waistband for a comfortable fit. Pull-on construction. Straight hemline. 100 percent polyester. Hand wash cold, hang dry. Made in the U.S.A. and Imported. Measurements: Waist Measurement: 26 in Outseam: 14 in Inseam: 3 in Front Rise: 13 in Back Rise: 14 in Leg Opening: 26 in Product measurements were taken using size SM, inseam 3. Please note that measurements may vary by size. 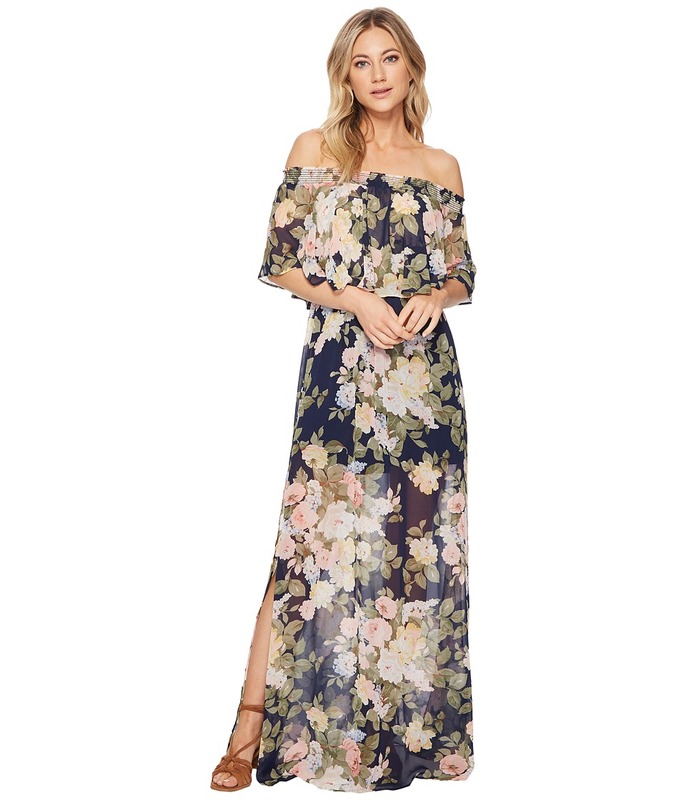 Grab the girls and head to brunch in this Hacienda Maxi Dress. Maxi silhouette. 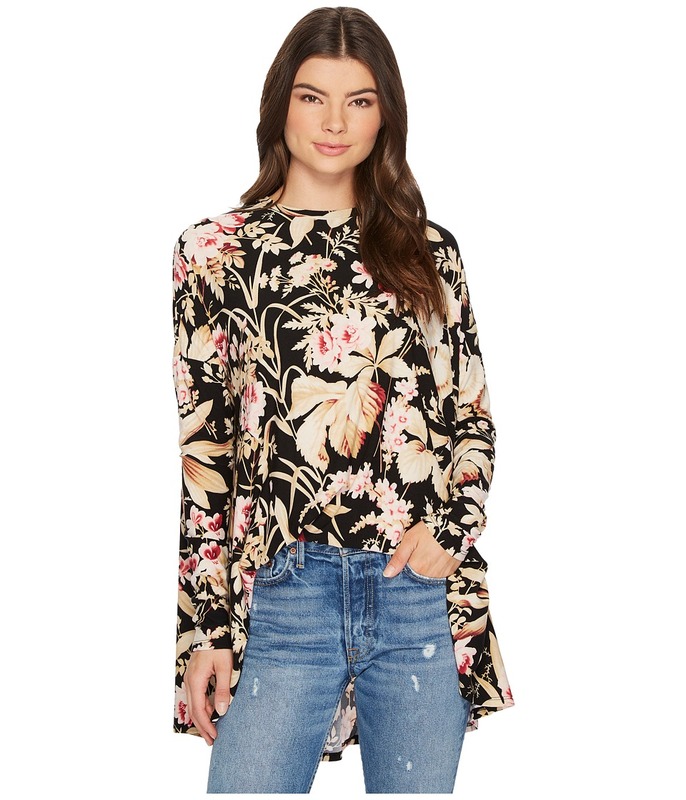 Floral print throughout. Off-the shoulder smocked neckline. Elastic waist. Unlined. Straight hem. Slip-on. 100 percent polyester. Dry clean only. Made in the U.S.A. and Imported. Measurements: Length: 58 in Product measurements were taken using size SM. Please note that measurements may vary by size. 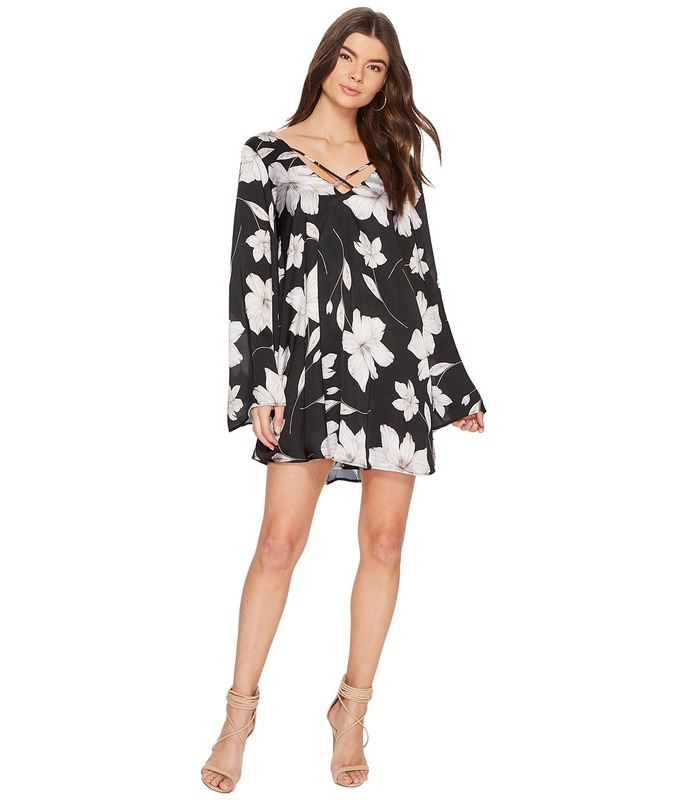 Take your time and have a much-needed night out in the Show Me Your Mumu Gomez Mini Dress. Shift silhouette. Halter neckline. Back keyhole cutout with button-loop closure. Fully lined. Straight hemline falls at a flirty length. 100 percent polyester. Hand wash cold, hang dry. Imported. Measurements: Length: 32 in Product measurements were taken using size SM. Please note that measurements may vary by size. Sleek and sophisticated! Shift silhouette. Gorgeous scoop neckline. Short flutter sleeves. Seam detail at center back. Slip-on design. Straight hemline at a flirty length. 100 percent polyester. Hand wash, hang dry. Made in the U.S.A. and Imported. Measurements: Length: 32 in Product measurements were taken using size SM. Please note that measurements may vary by size. The Rosarita Romper is just right for the girl who not afraid of standing out. Relaxed fit romper in a vibrant print. Elasticized top line. Short sleeves. Banded waist for a flattering fit. Lined. Straight hem. Slip-on. 100 percent polyester. Hand wash cold, hang dry. Made in the U.S.A. and Imported. Measurements: Inseam: 2 in Product measurements were taken using size XS. Please note that measurements may vary by size. Boho chic style with the ultimate feminine touches. Relaxed fit. 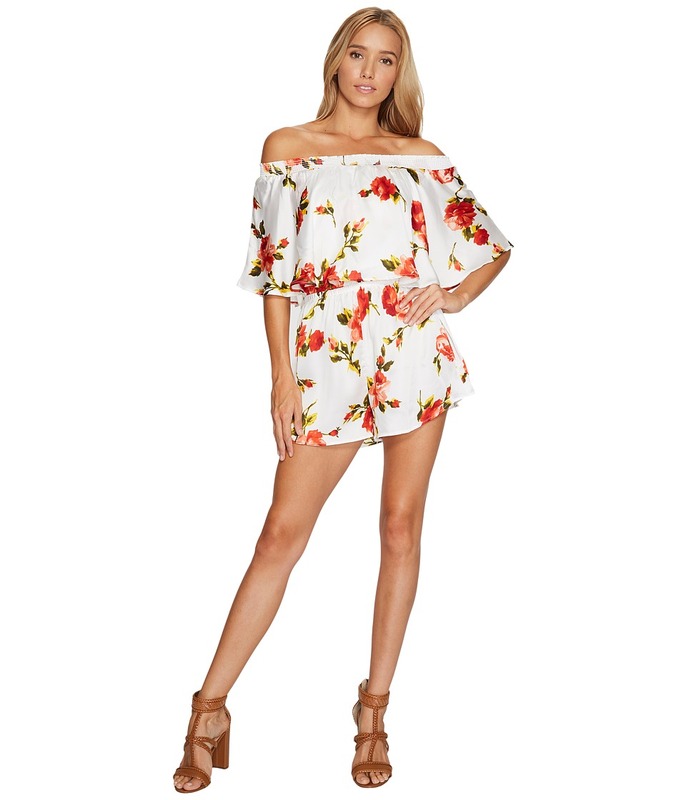 Polyester romper in a floral print. V-neckline features a wrap-inspired bodice. Sleeveless. Keyhole with button closure at back. Loose fitting shorts with a ruffle hemline. 100 percent polyester. Dry clean only. Made in the U.S.A. and Imported. Measurements: Inseam: 1 1 2 in Product measurements were taken using size SM. Please note that measurements may vary by size. Get carried away in this Bonfire Sweater. Graphic print at front. Cozy knit sweater boasts a relaxed fit. Crew neckline. Long drop sleeves. Rib trim at neck, cuffs, and straight hem. 100 percent polyester. Hand wash cold, dry flat. Imported. Measurements: Length: 30 in Product measurements were taken using size SM. Please note that measurements may vary by size. 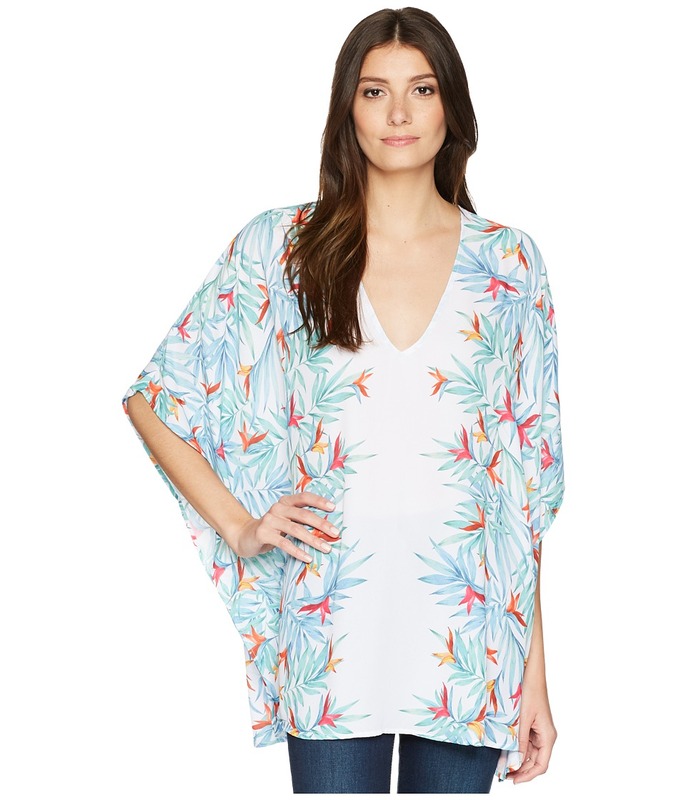 Turn up the heat in this Chiquita Top. Relaxed fit. Top features a solid print throughout. 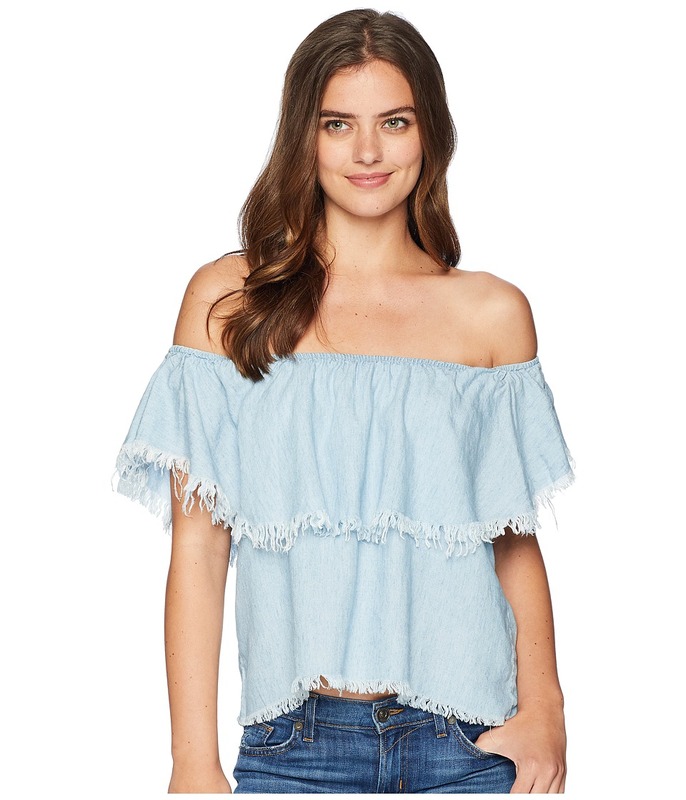 Off-the-shoulder elastic neckline. Short sleeves. Straight hemline at a cropped length. 100 percent polyester. Hand wash cold, hang dry. Made in the U.S.A. and Imported. Measurements: Length: 21 in Product measurements were taken using size XS. Please note that measurements may vary by size. Elevate your look with the help of this distinctive Mikey Muscle Tank Top. 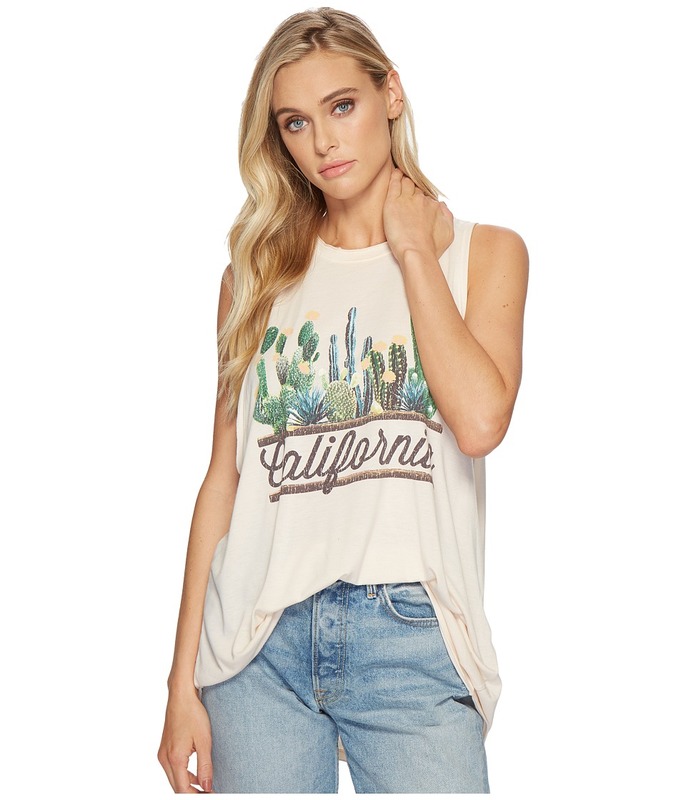 Slouchy, boyfriend-fit muscle tank sports a digital print at front. Relaxed silhouette. Sleeveless design with raw-cut armholes. Crew neckline. Slight high-low hemline. 100 percent polyester. Hand wash cold, hang dry. Made in the U.S.A. and Imported. Measurements: Length: 26 in Product measurements were taken using size SM. Please note that measurements may vary by size. There~s nothing quite like a darling tunic to pair with heels and a smile. Shift silhouette. Eye-catching print throughout. V-neckline. Three-quarter sleeves. Fully lined. 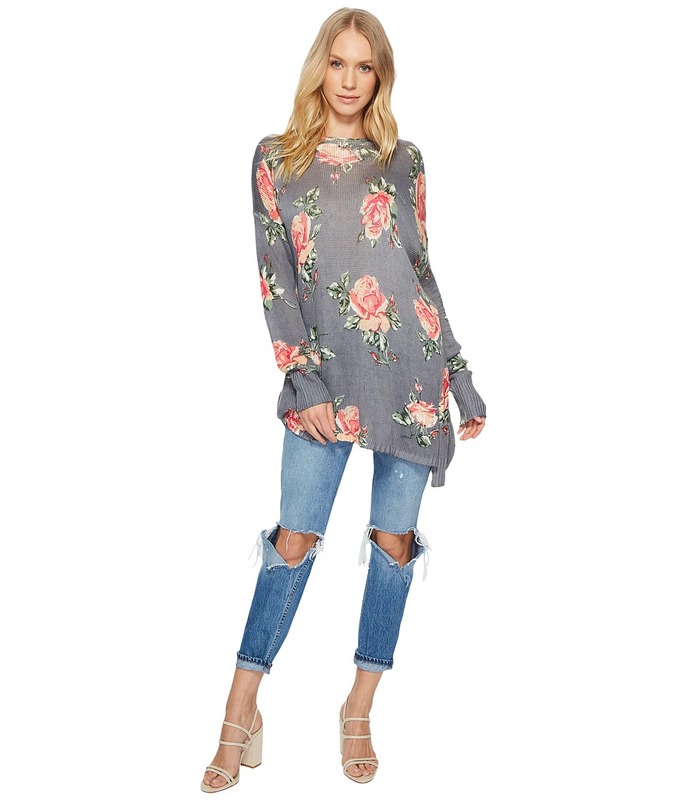 Straight hem hits above the knee. Slip-on. 100 percent rayon. Dry clean only. Made in the U.S.A. and Imported. Measurements: Length: 35 in Product measurements were taken using size SM. Please note that measurements may vary by size. Dance the night away in the Bronte Maxi Dress. Maxi silhouette. Vibrant prints allover a polyester fabrication. Halter neckline. 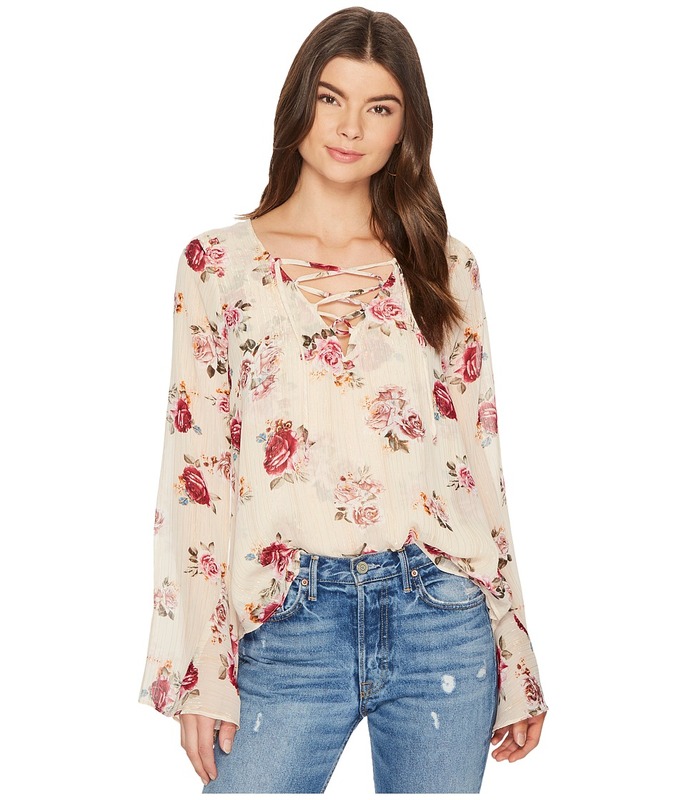 Fixed spaghetti straps connect at racerback. Inverted pleat at center back. Deep side slits. Straight hemline. Slip-on. 100 percent polyester. Dry clean only. Made in the U.S.A. and Imported. Measurements: Length: 62 in Product measurements were taken using size SM. Please note that measurements may vary by size. Enjoy a day out in the sun with the girls in these Cabana Shorts. A-lined silhouette. Lightweight rayon shorts flaunts a gorgeous floral print allover. Elastic waistband for a comfortable fit. Pull-on construction. Straight hemline. 100 percent rayon. Hand wash cold, hang dry. Made in the U.S.A. and Imported. Measurements: Waist Measurement: 25 in Outseam: 11 1 2 in Inseam: 1 1 2 in Front Rise: 13 1 2 in Back Rise: 15 1 2 in Leg Opening: 34 in Product measurements were taken using size SM, inseam 2. Please note that measurements may vary by size. 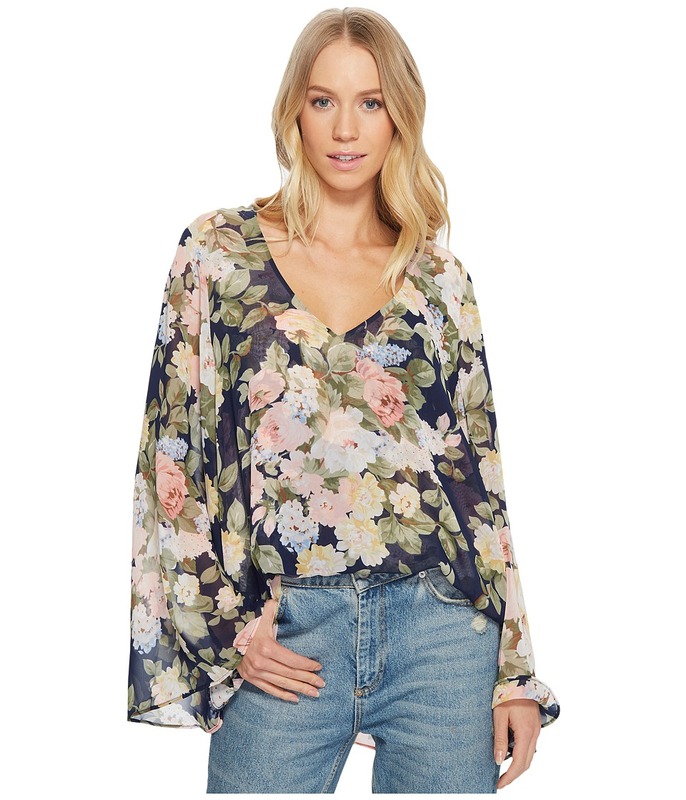 Pay homage to the 70s in the Hippie Dippie Top! Relaxed fit. Eye-catching print throughout. Wide scoop neckline. Long bell sleeves. Unlined. Fluttered hem. Pull-on. 100 percent polyester. Dry clean or hand wash. Made in the U.S.A. and Imported. Measurements: Length: 28 in Product measurements were taken using size SM. Please note that measurements may vary by size. There~s nothing quite like this Joni Flow Dress. Shift silhouette. Lightweight poly fabrication. Narrow strap detail at V-neckline. Long sleeves. Fully lined. Straight hem. Slip-on. 100 percent polyester. Dry clean only. Made in the U.S.A. and Imported. Measurements: Length: 32 in Product measurements were taken using size SM. Please note that measurements may vary by size. Flaunt your edgy chic side with the Will Tunic. Relaxed fit. Solid colorway on a lightweight stretch poly fabrication. Round neckline. Long bell sleeves. Unlined. Straight hemline at an extended length. 96 percent polyester, 4 percent spandex. Dry clean or hand wash cold, hang dry. Made in the U.S.A. and Imported. Measurements: Length: 33 in Product measurements were taken using size SM. Please note that measurements may vary by size. Boho-chic style with the ultimate feminine touches. Relaxed fit. Vibrant stripes print allover a lightweight poly fabrication. V-neckline features a wrap-inspired bodice. Adjustable shoulder straps. Open-back design. Lined. Loose fitting shorts with a straight hemline. 100 percent polyester Lining: 100 percent polyester. Dry clean only. Made in the U.S.A. and Imported. Measurements: Inseam: 2 in Product measurements were taken using size SM. Please note that measurements may vary by size. Style comes easy in The Zuko Top. Relaxed fit. Eye-catching print allover a lightweight poly fabrication. Lace-up detail at V-neckline. Long flared sleeves. Fluttered hemline. Pull-on. 100 percent polyester. Dry clean only. Made in the U.S.A. and Imported. Measurements: Length: 25 in Product measurements were taken using size SM. Please note that measurements may vary by size.